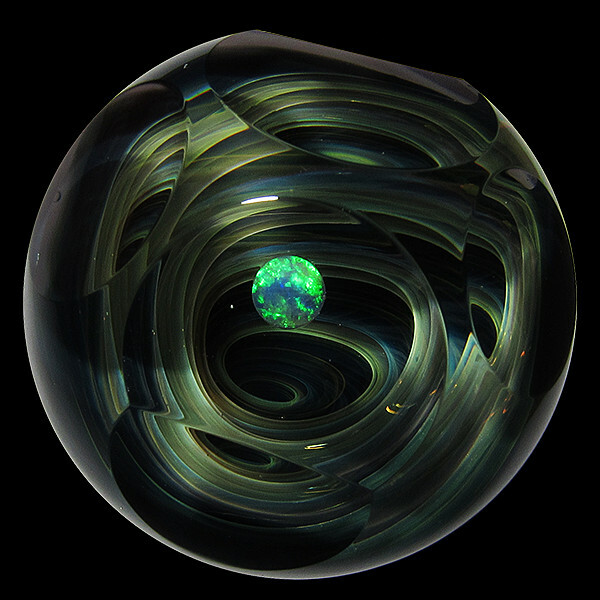 SKU: AO01. 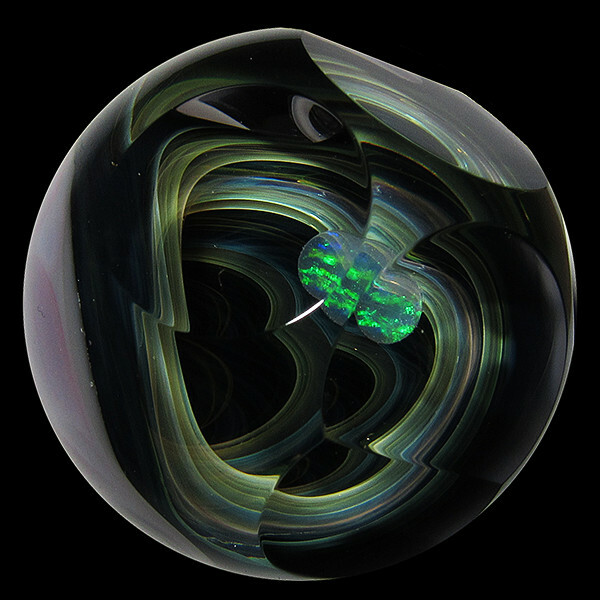 Category: Akihiro Okama. 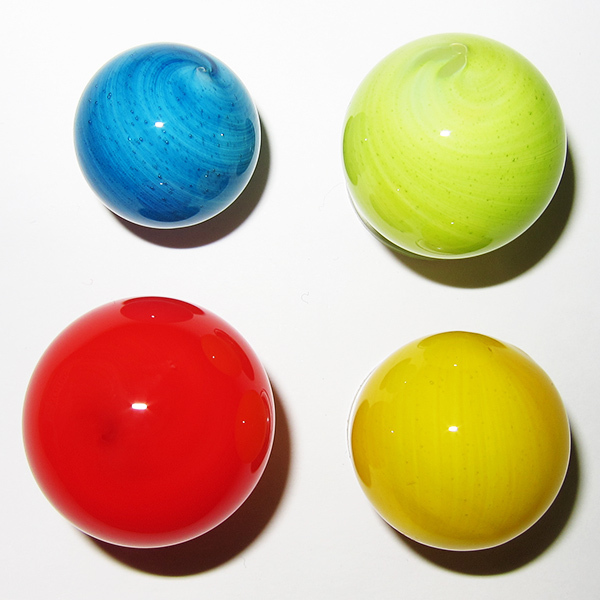 Tags: Akihiro Okama, Marbles. 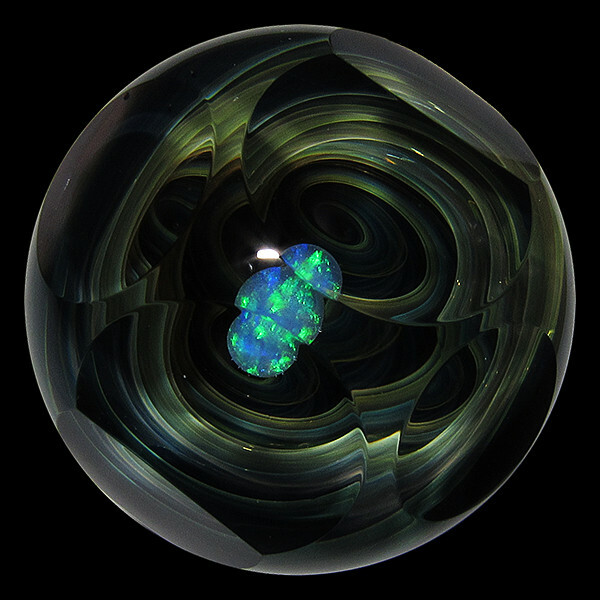 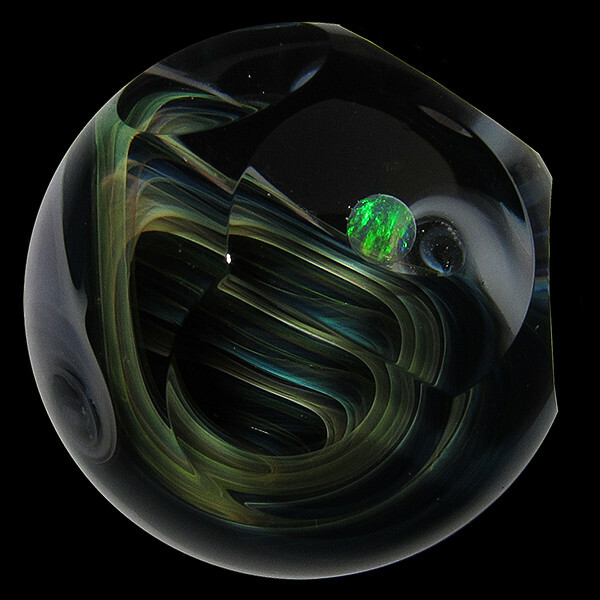 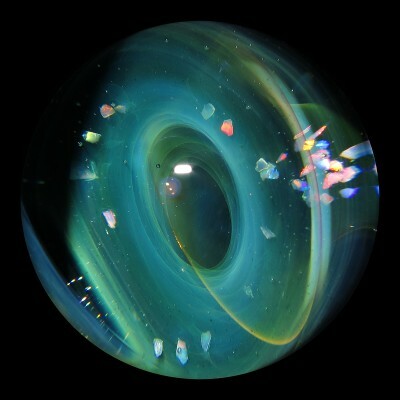 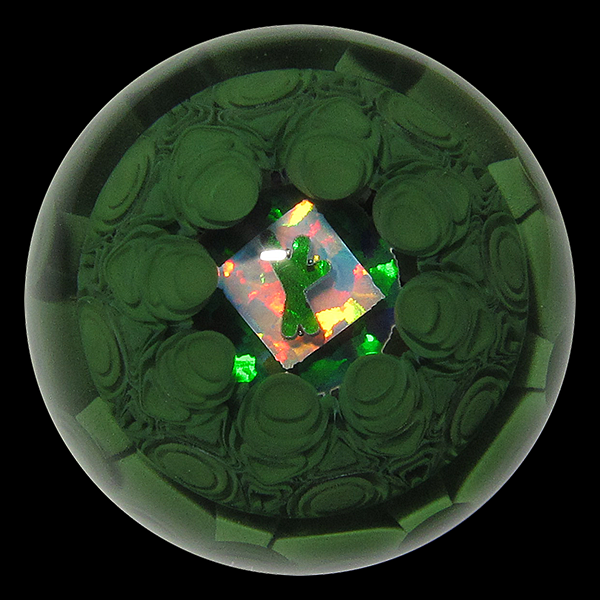 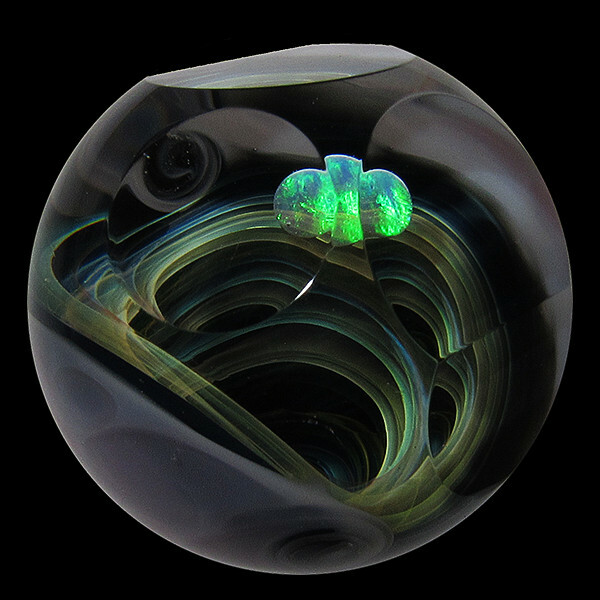 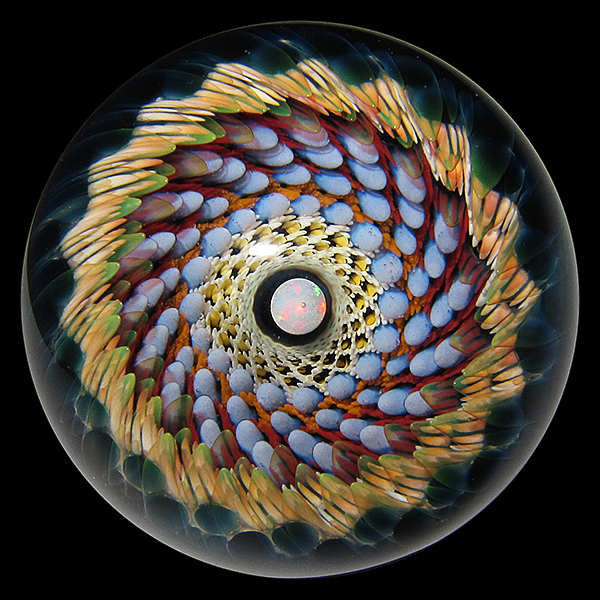 This marble by Akihiro Okama features a number of facets on the face, adding a new layer of fun to the deep fumed vortex and the hovering sphere opal. 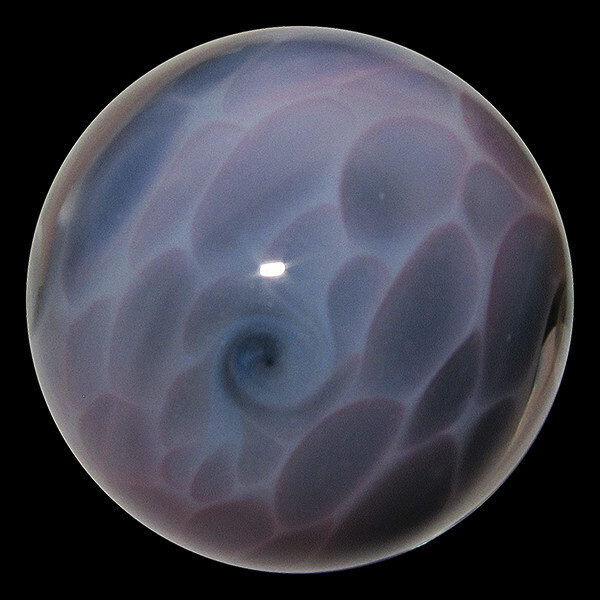 The backside is a beautiful purple honeycomb that has been twisted so it only takes up about 1/3 of the surface, with the front side being much larger than on a typical vortex marble.